Vegan chocolate cake works. I have given it the ultimate test and made this gorgeous, moist, chocolatey cake and never told anyone it’s ‘free from’ ingredients. Firstly, all of my family enjoyed it, commenting on the moist and richness of the cake. A few guesses were that it may have nuts or coconuts in the ingredients list. They were kind of right but were pleasantly surprised when I confessed it was gluten free and had no eggs, butter, ‘real’ chocolate and contained natural sugar and natural cacao powder. So why did I want to make this ‘free from’ cake?…Well…A few weeks ago my good friend brought a chocolate cake into work for her birthday. Being a vegan, of course it was vegan friendly. At first, my work friends and I hesitated a little as to what it would be like. How surprised we were. It had this rich, dark flavour, with a fruity twist. It was very moist, filling and slightly gooey. 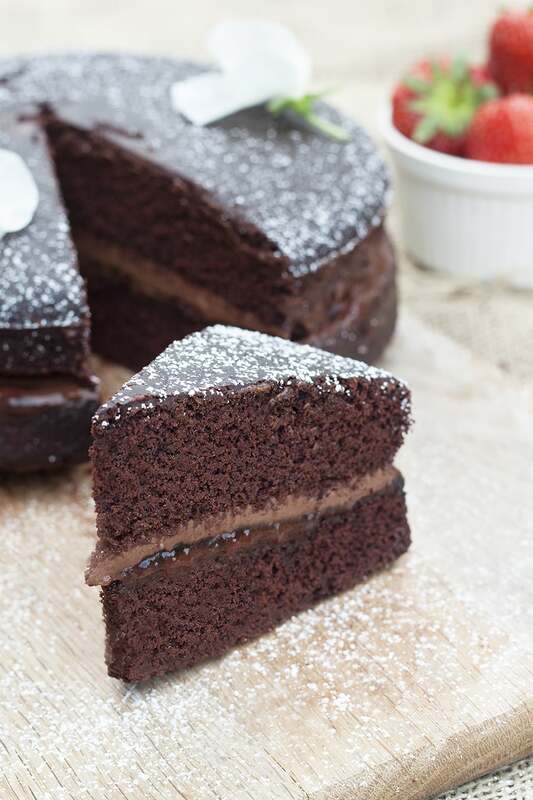 Just how you would want a chocolate cake to be. So I asked my friend for this recipe and found out it was taken from the Minimalist Baker site. 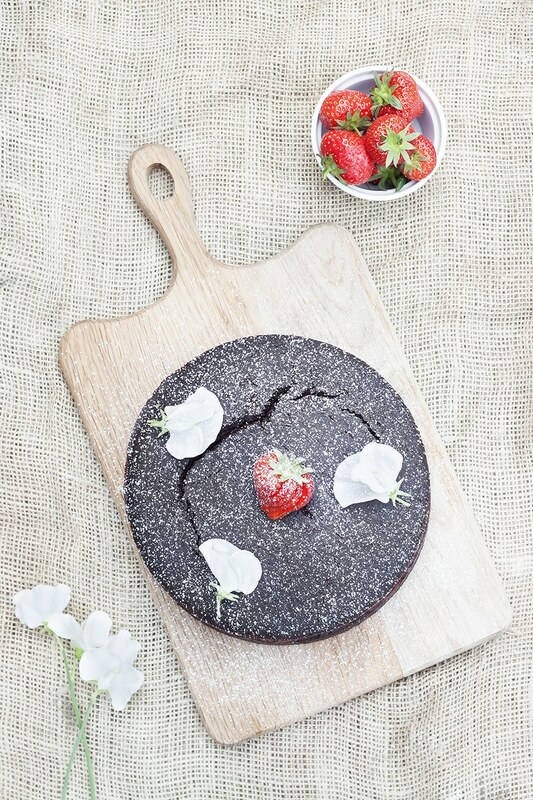 This recipe is my own tweaked version, making it as ‘healthy’ and as ‘free from’ as can be, using coconut nectar, raw cacao powder, gluten free flour, dairy free chocolate and coconut milk for the frosting. I like to think chocolate cake can’t get any healthier than this. Preheat the oven to 150C and line two cake tins with greaseproof paper. Mix the almond milk and cyder vinegar together in a bowl and leave to stand for one minute. Add the melted coconut oil, brewed coffee, vanilla extra and purée to the almond milk and whisk for a minute. Sift the flour, cacao powder, bicarbonate of soda and baking powder into the wet ingredients and mix. Add the coconut nectar and give everything a good stir. Split the mixture into the prepared tins and bake for approximately 30 minutes. Test the bake by pricking with a skewer and it should come out clean, not with sticky mixture. Leave the cake to cool. Now to whip up the gorgeous filling! Melt the dairy free chocolate in a bowl over a pan of hot water. Whip the coconut milk whilst adding the melted chocolate. Leave to chill in the fridge for at least 30 minutes. Spread the jam over your cooled cake, followed by the chilled chocolate filling. Leave to cool once more for at least 15 minutes before topping your cake with the final sponge. (This cooling process means your filling shouldn't 'melt' in the middle. Keep the cake cooled and serve with fresh strawberries! Delicious!